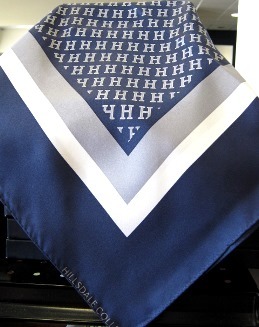 Navy, gray and white scarf with H logo. Made of 100% silk. Size: 36" x 36".